It's been awhile, but I'm joining other writers in this flash mob of sorts. We all write for five minutes. Just whatever is on our minds when we hear the prompt. 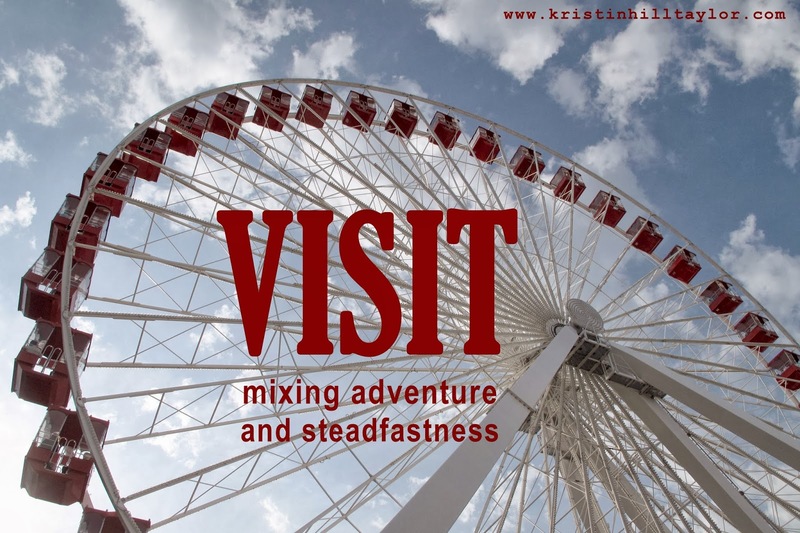 This week the prompt is VISIT, courtesy Five Minute Friday creator Lisa-Jo Baker. I've been making plans to visit some places. Soon it's me some writer friends. And then this spring it's a long weekend adventure with the family. My family meeting my parents and siblings at the beach this summer. Then there's a surprise for the kids in the works for fall. Planning is a hobby of mine. Planning. Letting go. Being present. It all seems contradictory. Yet somehow it's right where I need to be. There's a balance between a visit to a temporary place and coming home. Like a mixture of adventure and steadfastness, God has me right where he wants me. Thankfully the right now is a place I want to live, not just visit. Join us! Set your timer. Write. No editing. Link up. Then go read. Oh I so wish I was going to see you in Branson!! Have a wonderful time!! I so wish you were going to be there too. One day it's going to happen, though! I smile...because I get to see you and hug your neck in just a few months! So looking forward to it! :) Happy Friday! Yes - I'm so looking forward to that too, Mel! :) Enjoy your weekend!